Mrs. Rosie Mae Hicks Maxwell was born on May 13, 1940 to the late Mr. Osborn Hicks and Mrs. Ethel Mae Harkins Hicks. She was united in Holy Matrimony to the late Mr. Ira Maxwell for 47 years. 2 brothers, 1 sister, 7 brothers-in-law, and 2 sisters-in-law. 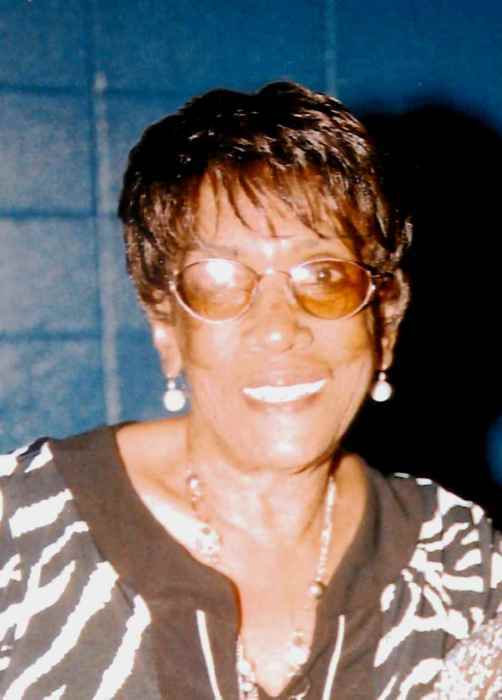 She leaves to cherish her Memories, her children: Alvin Bo Howell (Sandra) of Cleveland, OH, Annette Hicks, Pam Ford, Felecia Johnson, Katie Foster, Delbert Hicks (Brenda), Ira Hicks and Stephanie Hicks. all of Alexander City, AL. 19 Grand kids. 36 Great grand kids, 9 Great great grand kids. Brothers and Sisters: Esther “Pate” Middleton of New York, Emma Jean Osborne (Gus), of New York, Nora Baker of Evans, GA, Christine McKinney, Ruth Burns (Lee), Luvenia Richardson all of Alexander City, AL, Trecia Harkins of Huntsville, AL, and Darcy Hicks (Christell) of Jackson, MS .
2 sons-in-law: Jessie Foster and Chris Ford. Sisters-in-law: Annie Flowers, Ethel Lee Marbury, Bobbie Tucker, Lennie Bell Wyckoff, Loraine Maxwell , Tempie Maxwell , Jeanette Allen Hicks. and Hozell (Pie) Pogue. A brother-in-law, Arie Maxwell (Annette). A host of nieces, nephews, other relatives and friends. Special sons, Julius Shaw, Rex William, and Jamie Washington. Special friends: Connie Harrell, Hozell (Pie) Pogue. and Jessie Black.